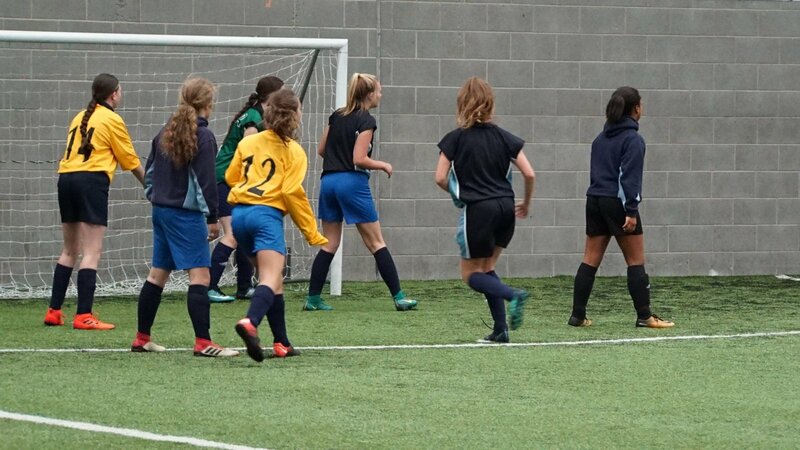 Three U16 school teams competed in a round robin competition as the Town Foundation hosted its first Premier League Girls Football Tournament of the 2018/19 season. The students from Moor End Academy, Brighouse High School and Shelley College participated in the tournament held at Leeds Road Sports Complex on Friday 12 October 2018. The teams played each other three times with some fantastic football on display in every game. Whilst not playing, the resting team were also able to take part in various activities including football tennis, shooting practice and mini matches against each other. The girls from Brighouse High School prevailed as eventual winners after performing consistently throughout the tournament. The Town Foundation was also very fortunate to welcome volunteers from the Club’s Employability programme who ensured the day ran smoothly. To find out more information on how to get involved with the Town Foundation’s female football sessions please contact poppy.brennan@htafcfoundation.com.